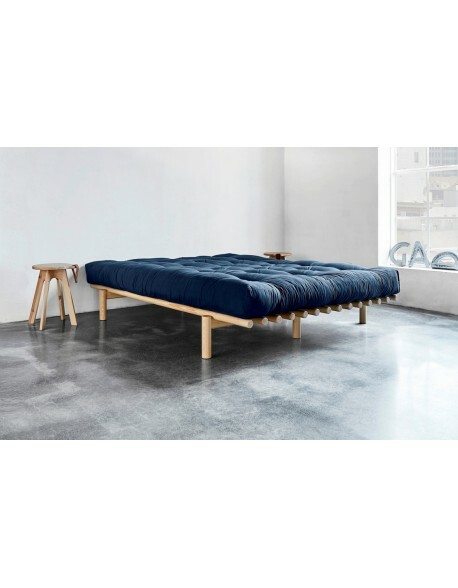 A new addition to our range of futon and bed products from Karup Partners in Denmark, as with all of Karups products the Pace Day Bed has a well designed but simple style that makes it equally at home in modern or classic style rooms. 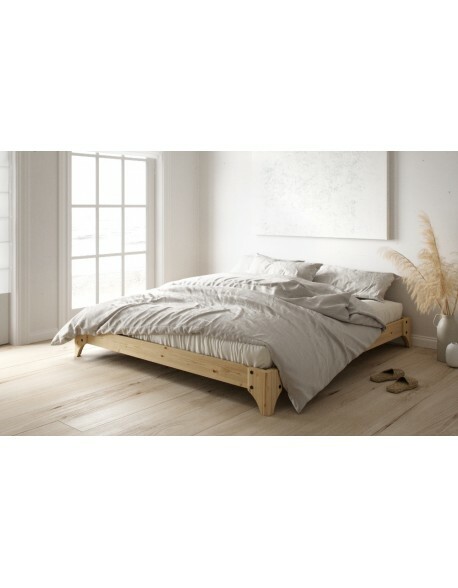 The Pace frame is manufactured in Europe using redwood pine from FSC certified (managed timber) forests with a really nice smooth finish to its round section legs and cross slats, the frame is delivered flat-packed for ease of transport and is very simple to assemble, allow one hour, no special tools are required. 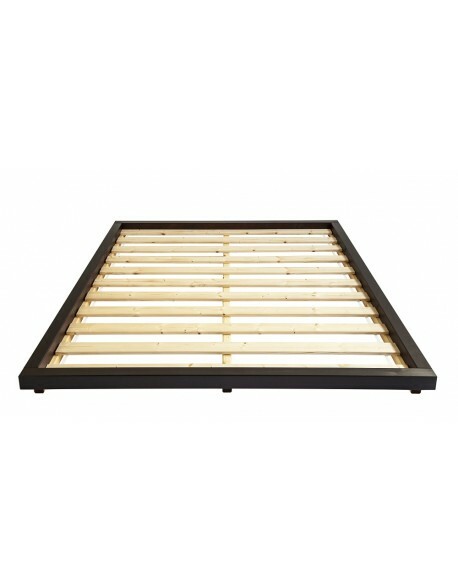 The Pace frame is combined with a choice of either one of our 6-layer, pocket sprung, FlexiPocket futon mattresses or a standard 6-layer rebound futon, choose from the menu below, both available in a choice of Fabrics or tactile chenille, weave and organic Upgrade Fabrics. The Pace is completed by choosing an option for two 60 x 40 cm matching cushions, simply make your selection from the menus. 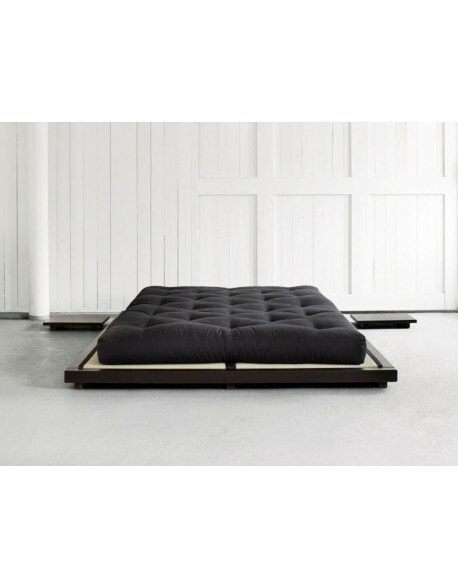 The Pace Day Bed is available on special order with a delivery time of 3 to 4 weeks. 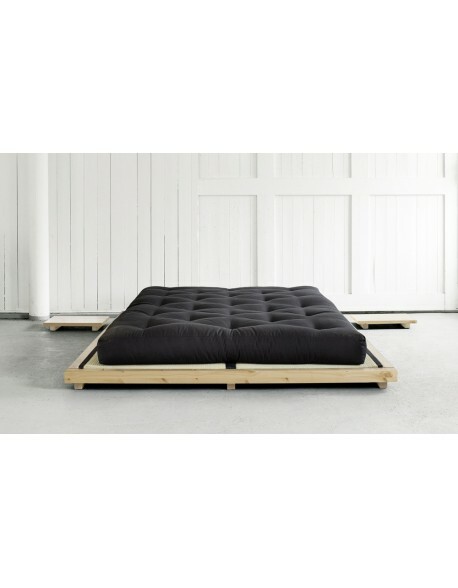 Futon frame materials FSC certifeid redwood pine timber from European managed forests, choice of natural or satin black finish. 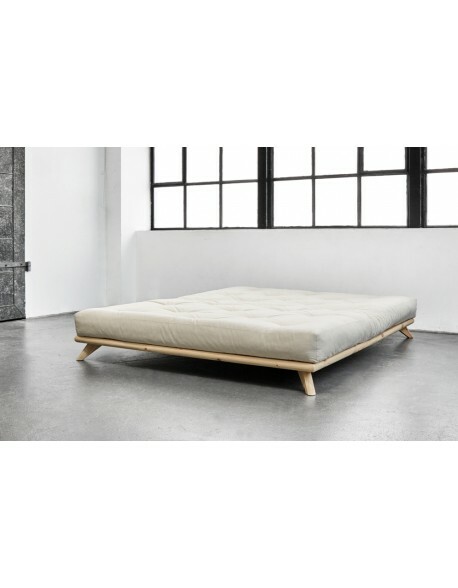 Futon mattress materials Choice of standard 6-layer rebound futon mattress or softer flexi-pocket futon mattress with center mini pocket springs. Delivered flatpacked? Yes - for easy delivery - simple home assembley required, allow 1 hour with no specialist tools required. How long for delivery? The Pace is a special order item from Denmark please allow 3 to 4 weeks for delivery.